Hope everyone is having a wonderful Labor Day weekend. Have fun and be safe! This week we have more polls, road trips, big portions at Claim Jumper and Twitters galore! Must try that egg white sandwich! David has been a real Chatty Cathy with his twitters and blogs! Loves his off time with family, gets his face on postage stamps and hopefully has finished his Christmas Album! What next! Going to Disneyland! Read on and see! What is pop singer Paul Anka doing these days? David Christmas Album is #1 in Amazon’s Opera and Vocal bestseller list! Right underneath his Album is Josh Groban’s CD, Noel. Woot! Woot! David is #4 in Bestselling Holiday Album and #7 in Most Wished Holiday Album. The totals are updated hourly on Amazon. Please go and preorder his CD. We want David’s album, Christmas from the Heart, to be #1 in all lists. @the rocketsummer – Haha! It’s goin’ well. Just got back from Alaska. DavidArchie – Sleepy! What are ways of falling asleep faster so mornings are easier to deal with? DavidArchie – Just landed in LA. On my way to go record some more. DavidArchie – Recording can get pretty fun sometimes HaHa! DavidArchie – Wow. All the servings of food at Claim Jumper are really big! DavidArchie – It’s amazing to see the ocean and the stars in one glance. Beautiful! 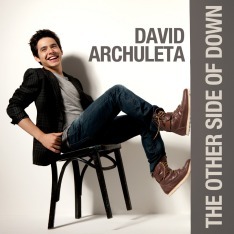 DavidArchie – Try to leave the light when I’m gone, even in the daylight shine on. Familiar voice on the radio haha – Good song. DavidArchie – Time crunches are pains! Lol. On my way to give my opinion on more Christmas stuff with comping and mixing. Then more recording. kbester – In the studio with David A and his Dad-ager listening to mixes. kbester – It is finished! The tunes I arranged for David A. are “in the can ” as they say in the biz. Onerichsong – Time to head back over to the studio to try and wrap a couple things up…could tonight be the night??? Is there magique in the air??? DavidArchie- Finished going through recordings of the songs for today! Tonight’s recording session is rescheduled for tomorrow! More time to work on it. Onerichsong – Don’t you love it when things work out…. DavidArchie – So another day filled of recording Christmas music. This might be the last day of recording for the Christmas album! kbestor – Officially done with my Archuleta Christmas tnes. Gonna take a week off before I start getting ready for my own holiday show. 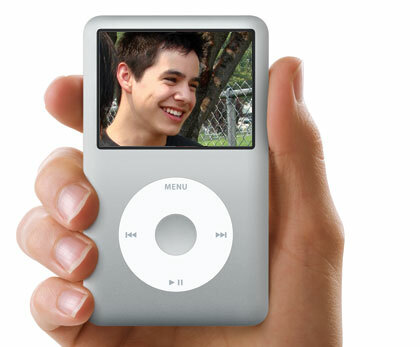 DavidArchie – Wow! How does time fly by so fast in the studio? 1 hour in the booth feels like 15 minutes. DavidArchie – Seriously where does the time go? Haha. Finally done though! DavidArchie – Trying to get the Christmas album cover artwork worked out! Ah! DavidArchie – Interviews are fun haha. onerichsong – Kind of crazy that tomorrow’s writing session starts the next chapter. It’s gonna be interesting switching gears. DavidArchie – I’m not always a fan of traffic. DavidArchie – Got a hair trim! and surprise, surprise, more recording tonight haha. DavidArchie – It’s pretty entertaining driving down the street and saying all the random little shop names. They get pretty interesting. DavidArchie – Planning on going to Cali for the weekend, Will it work out? ldk because I still might have to record more haha. bentonpaul – …we just picked up King of Leon, The Beatles, David Archuleta, and Bleu for the final leg of the road trip. onerichsong – @DavidArchie – Actually more like Marge’s sister, but, okay, j/k have a great weekend! DavidArchie – It’s always nice looking at the scenery on road trips. DavidArchie – Watching a bunch of little kids dance with glowsticks to the Hamster Dance at a church talent show. So awesome! DavidArchie – Well that was fun talent show. Crush is her favorite song! But flips picture of David when playing! “I can’t take a chance that someone might see his face in the 45 seconds it takes for the screen to go dark.” She should have her iPod taken away very carefully! Not want to show David’s beautiful face! Great looks and great talent should be shown. I parade my ipod around for everyone to see. Get used to his face Mandy it will be around a very long time. Snarky Archies – Alaska Concert – David said he was happy to see such a big crowd, saying that Alaska was the only state that he had never received fan mail from, I think that will change. Does that date seem familiar to you? HaHa! David’s last year’s release date for his album!!! David’s Blog – Keeping busy in studio! Been recording in LA and Utah this week. Likes airplane rides because it gives him time to write and get really detailed in his journal. Christmas spirit is rubbing off on him! Had last show in Alaska which he felt was bittersweet! Glad to be home to catch up with everyone! It’s really been important to have that time with family. Important to spend time with them. The Christmas album is almost done though! So crazy! He is excited to start next pop album! Read entire blog. Welcome to Photo Stamps. com – You can order stamps with any picture on them. Try it with David’s face! Very easy and fast to order! Such a nice present to put on your Christmas Cards this year. Your friends not only get a Beautiful Card but one with a Beautiful stamp of David! HaHa! Fit Model Body Type. Knows Stage Direction – Will present trophies to winner throughout award show. Must be in good standing with AFTRA – AFTRA willing. David Archuleta singing “Joyful, Joyful”—Days of ’47 Pops Concert, July 10, 2004. When I rediscovered this exquisite video of David singing Joyful, Joyful goosebumps went up my arms and I had a chill run through me. Even at the tender age of 13 David had the ability to capture the essence of spirituality through song. His voice surrounds you like a warm blanket on a cold winter’s night. Once you feel it you never want it to leave you. This video is 1:57 seconds and it took less than that to know this young man had something special. Sadly, the video equipment broke down and this is all that was recorded. Maybe someday soon we will hear David sing this song again! But for now, I just keep playing this 1:57 seconds over and over again reminding me just how lucky we are! Soon we will have an entire album to give us chills and goosebumps!!!! Goodness me! The video stopped. Do you know where the whole song might be? Excellent wrap up Pam! As you know, I’ve been working my tail off the last 2 weeks so this is a fantastic way to catch up. You are a charm! Mandy Bierly really begs the question by posting this on the Internet — I can’t believe she is telling the truth! It must have been a sad and joyful day when Jeff Archuleta heard David singing “Joyful, Joyful” Sad because they learned later that the recording equipment malfunctioned in the middle of the song. And joyful, well, you know why! Just listen to that voice.